VICTORIA, B.C. 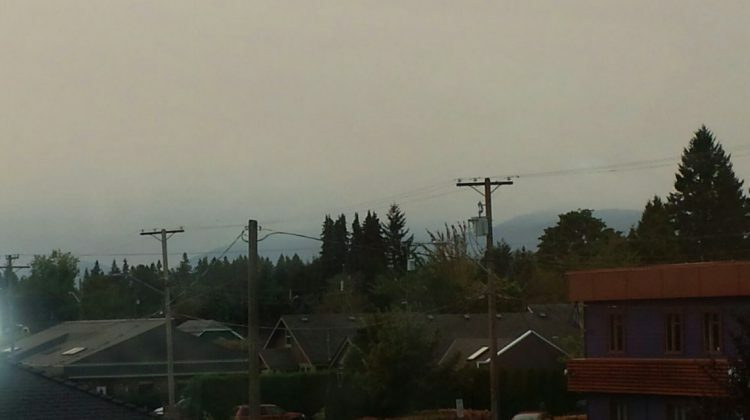 – Smoke from the wildfires across British Columbia have resulted in Environment Canada issuing a special weather statement. The agency said that people with pre-existing health conditions, the elderly, infants, children and sensitive individuals are more likely to experience health effects from smoke exposure. Environment Canada recommends staying inside, in a cool environment and using an air conditioner that ventilates the air if possible. For general information about wildfire smoke and your health, call HealthLink BC at 8-1-1. More details on air quality in the province and advisories can be found via this link.